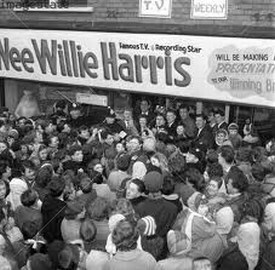 Wee Willie Harris used to get his hair dyed pink (or green or orange) at a hairdresser’s called Maison Louis. Across the road from the motorcycle shop is a building that was once the Central Office of Information. Some time ago I went there to track down a documentary film. It featured my wife, Jacqui, wearing very thick black false eyelashes. One of the scenes was supposed to be a party. She’d gathered all her friends and we stood around with drinks in some flat one afternoon. It wasn’t very exciting. I’ve never managed to find a copy of this film. Along the road from the pub was a hospital, now a block of flats, where I had physiotherapy treatment on my hand. Someone I worked with at the college had opened a door too hard into it and smashed my thumb. 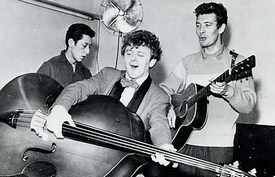 Before he became a full-time rock ’n’ roll singer, Willie worked at the Peek Frean’s biscuit factory in Bermondsey. 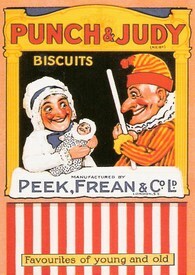 It closed down in 1989 after 130 years and having introduced Garibaldi and Bourbon biscuits to the world. City Dry Cleaners has now replaced Maison Louis. It’s squeezed between two mini-marts: one painted green and the other blue with Irn-Bru signs all over its front. Four doors past the pub is the house where Captain William Bligh lived when he returned to England after surviving the mutiny on his ship the Bounty. It’s now the “Captain Bligh Guest House”. I saw Mutiny on the Bounty at a cinema in Portsmouth, probably because Marlon Brando was in it. I didn’t think much of it, though I liked the look of Princess Maimiti. Brando ended up marrying the actress who played her. The film is full of historical inaccuracies. I’d drive past the biscuit factory traveling to and from the East London college where I worked for a time. I’ve a friend called Frean. 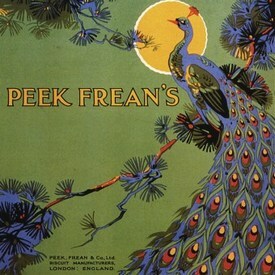 He’s the Peek Frean founder’s great-great-grandson but has never had anything to do with the company or with biscuits. 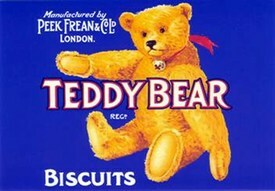 Some time ago he received an opened packet of them in the post with a letter complaining about their quality. He doesn’t know how it ended up at his address. In the 1930s Rothermere’s newspapers, particularly the Daily Mail, called for an alliance with Nazi Germany and strongly supported appeasement. They also championed the British Union of Fascists. Rothermere wrote a Daily Mail editorial entitled “Hurrah for the Blackshirts”, praising their leader Oswald Mosley for his sound, “commonsense doctrine”. I’ve never drunk Irn-Bru. It wasn’t around when I was a kid, not outside Scotland anyway. My favourite was Tizer—“Tizer the Appetizer”. Once, at a holiday camp fancy dress contest, my mother wrapped me up in lot of red crepe paper and entered me as a bottle of Tizer. I didn’t win a prize. My father is buried in a military cemetery in Holland. I visited it on a British Legion trip when I was ten years old. That was the first time I’d been on a plane. We stayed with a Dutch family and the father drove us around in his car. I’d never ridden in a car before and I was fascinated by the cigarette lighter in the dashboard. The daughter tried to teach me to play Monopoly, but as we couldn’t speak each other’s language it was a waste of time. I went back to the cemetery more recently and it was much smaller than I remembered. One of the ships that William Bligh captained after the Bounty was HMS Warrior, which was built in Portsmouth. I studied at the art college in Portsmouth. Private health care came with the job and, as the pay was bad, I had treatment for a series of quite minor ailments. To sort of get my own back. Rothermere also visited and corresponded with Hitler. In 1938 he sent him a telegram supporting Germany’s invasion of the Sudetenland and expressing the hope that “Adolf the Great” would become a popular figure in Britain. Later that year he wrote to Hitler congratulating him for the annexation of Czechoslovakia and encouraged him to march into Romania as well. He also noted that Hitler’s work was “great and superhuman”. Round the corner is the college where I took a poetry course run by a tall American woman with long, dyed-black hair who wore strange (I thought) clothes. She said my efforts were a bit too biased towards the visual and always rather impersonal. I had mixed feelings about that. Or I didn’t know what to think. 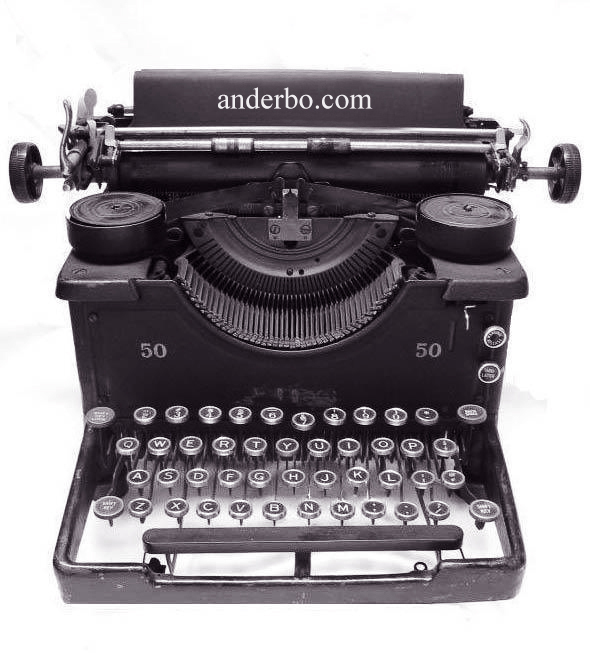 I liked concrete poetry, something unfamiliar to her. Supreme Motor Cycles is at the corner of the park. When I was a student I rode a motorbike. My first one was a Francis Barnett 197cc (a “Franny B”). If I carried a pillion rider it couldn’t really get up hills. Then I got an Ariel Red Hunter 350cc, but it was always breaking down. 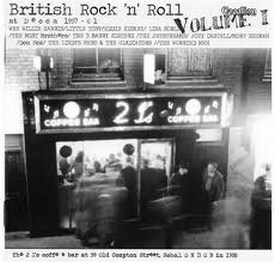 The 2i’s was where British rock ’n’ roll began. Cliff Richard, Johnny Kidd, Adam Faith, Hank Marvin, Terry Dene and Screaming Lord Sutch all played there. A friend I taught with at the architectural school once played guitar in Sutch’s backing band, the Savages. The college has a gallery attached to it. I saw a print exhibition there when one of the exhibitors was the wife of the person who injured my hand. She worked in my department and always disliked me. On the days I wasn’t in she’d tidy up my desk, which really annoyed me. The Imperial War Museum is opposite the pub. I once went to the library there to see if I could find out anything about my father, He was killed in the Second World War, on the border between Germany and Holland. The museum building used to be the Royal Bethlem Hospital, a lunatic asylum better known as Bedlam. In the 18th century people went there to laugh at the patients. The entry charge was one penny, but free on the first Tuesday of the month. The museum stands in the middle of a small park. The land was donated to the London County Council by the newspaper tycoon Lord Rothermere to be made into the Geraldine Mary Harmsworth Park in memory of his mother, for the benefit of the “splendid struggling mothers of Southwark”. The physiotherapist told me that one of her patients, a well-known TV presenter and architecture critic, was paranoid about anything to do with death and insisted on her covering up the skeleton standing in the corner of the treatment room. The pub at the crossroads has an art gallery on its second floor. A while ago I met an old student of mine at the private view there of an exhibition he was in. He told me that when he graduated from his MA course, Charles Saatchi bought all the paintings in his show, but has never exhibited any of them since. Three Iranian brothers originally owned the coffee bar and so it was called the 3i’s. It was renamed when one went back home. 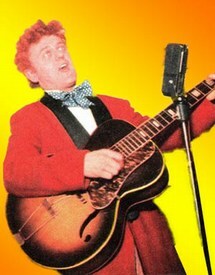 Tommy Steele was the most famous 2i’s rock ’n’ roller. Like Willie, he came from Bermondsey. As a kid I lived on the Isle of Wight and one summer it was big news because Tommy had flown there for a holiday. I was on the beach one day and noticed that Tommy was sitting in the cafe having a drink. Thinking I’d impress him I went up to the cafe jukebox and put on “Little Star” by the Elegants (or perhaps it was “Three Stars” by Eddie Cochran). When I taught at an architectural school, I sat in on a review of one project where the brief was to design a small museum, to include living quarters for the caretaker. An Iranian student presented a model of a square building with a bungalow stuck on top for the caretaker. During the criticism he said that if the tutors didn’t like the bungalow he’d get rid of it and then he smashed his fist down through the model. When the 2i’s closed down it became Le Bistingo restaurant. It’s where I ate frog’s legs for the first time and, I think, the last. After Willie left Peak Frean’s he became the resident pianist at that 2i’s Coffee Bar in Soho. He was 5ft 2ins tall, had wild hair and wore a draped jacket many sizes too big for him, tight drainpipe trousers, and a huge polka-dot bow tie. 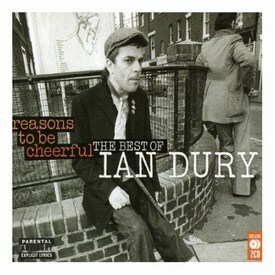 Jacqui was at art college with Ian Dury. 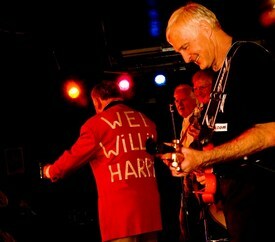 One of his songs, “Reasons to be Cheerful”, mentions Wee Willie Harris.